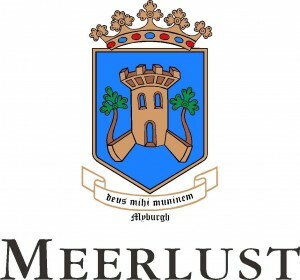 Meerlust Estate has been the pride of the Myburgh family since 1756. Today, the dedication to quality winemaking continues under the guidance of 8th generation, Hannes Myburgh. Cellar Master, Chris Williams, who has worked on the estate since 1995 has been in charge of winemaking since 2004. The name Meerlust means “pleasure of the sea”, as the property is situated 5km from False Bay (and 15km south of Stellenbosch), with the cooling influence of the coast, allowing the grapes ripen slowly. The Meerlust Red 2014 is a blend of 57% Merlot, 20% Cabernet Sauvignon, 12% Cabernet Franc and 11% Petit Verdot. The vineyards were green-harvested during veraison to reduce yield and increase concentration, tannin ripeness and fruit definition. The grapes were handpicked and fermented separately before undergoing malolactic fermentation in new and seasoned oak, before selection, blending and bottling. The 2014 Meerlust Red was barrel aged in 55% new Nevers and 45% second-fill casks. The wine has an intense, dark purple colour with a violet rim; bright and vivacious in the glass, youthful. The nose is expressive with powerful cassis, plum, exotic spice and hints of floral aromas. On the palate the wine is medium-bodied with intense flavours of crushed black fruit, cassis, vanilla and dark chocolate. The tannins are soft and silky, the acidity fresh, the flavour profile focused and linear. The wine has a persistent and long-lasting aftertaste. Casseroles, venison, game or cheese dishes. Also great with spicy dishes.